I am a fun and experienced Early Years teacher, holding QTS and EYPS. 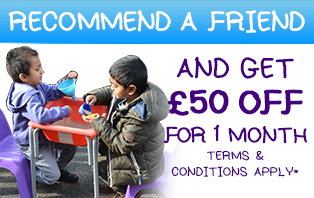 I specialise in working with pre-school age children to help them get ready for school. I am passionate about childcare and education, having 15 years experience in teaching children of all ages. 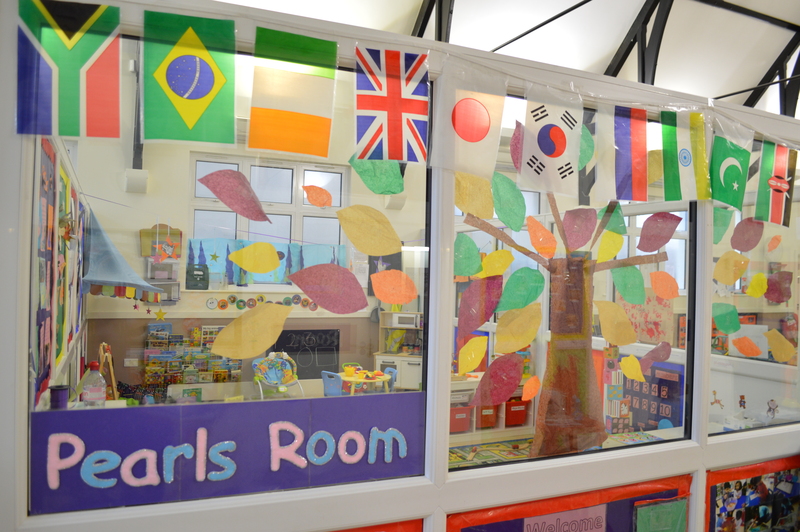 I am pleased to manage a nursery that is graded “Good” by Ofsted. My ambition is to help the nursery grow into an outstanding nursery in our next inspection. I am committed to quality childcare and I keep myself updated on the latest trends in Early Years by reading books, articles, joining forums, attending various courses. I am supporting my team to then implement these new ideas, being a hands-on manager. In my spare time I love travelling, reading and spending time with my son. I am particularly fascinated with the seaside and I have an impressive collection of sea shells and fossils. 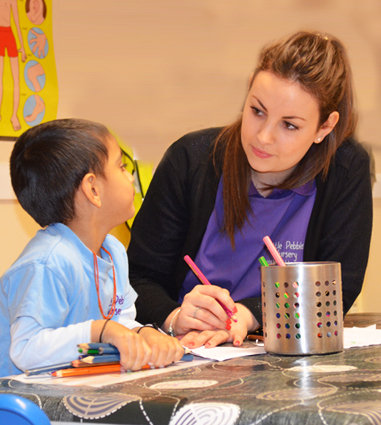 I started as a nursery assistant at Little Pebbles when it first opened in January 2012. Since then I have grown with the company and in 2014, I became the nursery manager of the Hendon branch. This was a great opportunity for me as I got to start up the nursery and build new relationships with families. In 2016, I moved back to the Burnt Oak branch as nursery manager. Here, I have been able to manage a larger setting and staff team and gain further managerial skills. I have a BSc in Psychology and a Level 3 diploma in children’s and young people’s workforce. I am proud to have managed both settings, which have both been graded ‘Good’ by Ofsted. As a manager at Little Pebbles, I get the opportunity to work closely with the directors. We all have the same vision and constantly review and develop practice and update our knowledge on new policies and procedures. I am fully trained in safeguarding and child protection and have trained all staff at the nursery on this. I hold training in paediatric first aid, health and safety, prevent duty and much more.I look forward to coming to work each day as each day is exciting and brings something new. The dedicated staff team are great role models to the children and it is a pleasure to work with them. I love meeting new families and becoming a part of their child’s development and learning journey.I thrive on providing high quality childcare for our families and children. I spend time in the rooms with the children and staff and this is the best part of my day. I’m not afraid to get messy with the children and I enjoy helping children learn in new ways. I understand that each child is unique and I am confident that children are offered great opportunities at Little Pebbles, thus leading to greater outcomes.